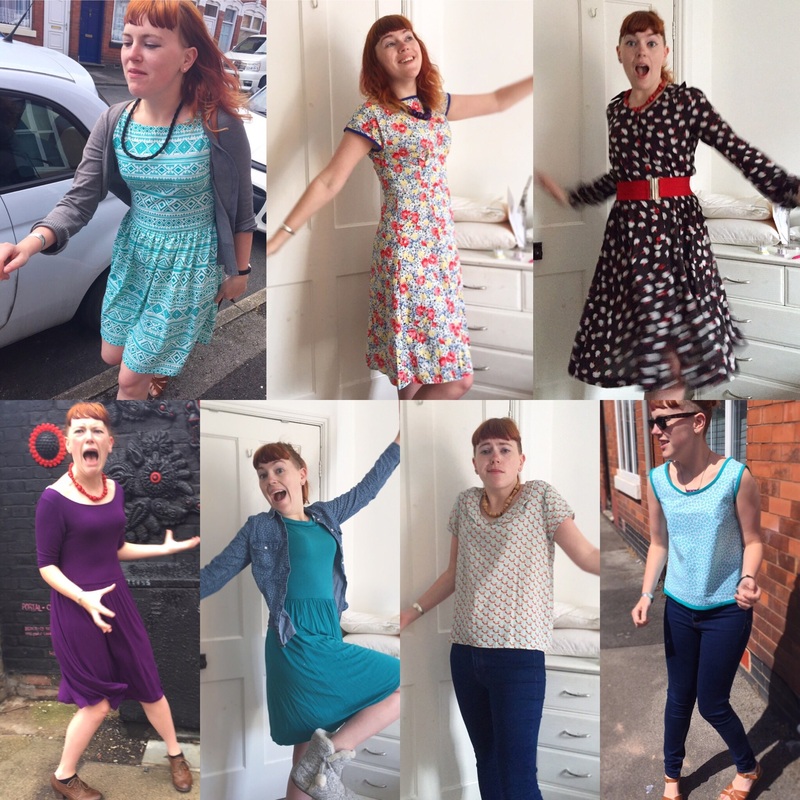 Me Made May 2016 – week 2 roundup | More blue fabric? Hey did you manage to squeeze a Moneta out of the Aztec Girl Charlee fabric? That looks amazing. I need to make a Moneta in knit. I have actually managed to sew with knit since we met at SewBrum. I’ve made a Grainline Scout tee and two Grainline Linden sweatshirts which I’m pretty chuffed with. Your me-made makes are looking great and love the crazy poses too!